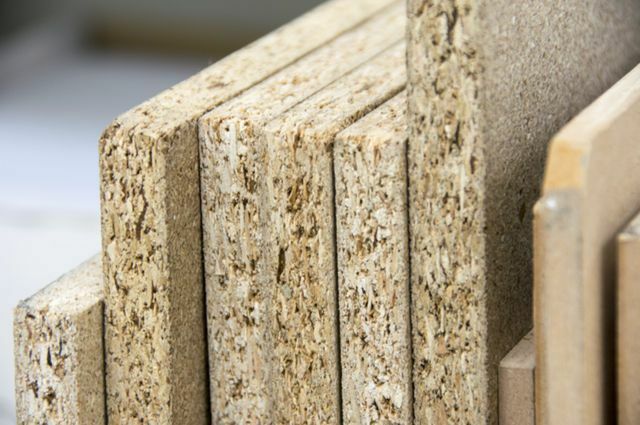 Whether for flooring or furniture, particle board – or chipboard – is a versatile material. It is made from thousands of densely packed wood chippings and can be stronger than solid wood, especially when supplemented with foil or veneer. As well as being good for furniture, it is surprisingly good for floors. Coupled with an outer coating of foil or wood veneer, particle board furniture can be attractive as well as durable. The average Billy bookcase and other furniture by IKEA is made that way. Though good for furniture, you may be better off with hardwoods if you wish to support heavy weights. Sagging is a problem if, for example, you have a fair amount of hardback books in your personal library. Use L-brackets to mount any shelves or onto your wall. Particle board can be an attractive flooring material so long as it is varnished and treated against dampness and spillages. As it can be ruined by strong shoes and heels, this is best used in a room where slippers are normally worn. Most importantly, it needs to be sealed to avoid swelling and warping. Each corner and crevice should be filled with waterproofing sealants. Owing to its construction, particle board is very good at absorbing sound. This is why it is used in speakers. In concert halls, auditoriums and recording studios, it nullifies any reverberation, making for clear acoustics. With particle board being easy to paint, it is a good material for adding embellishments to your home. For example, around windows and doors as a form of trimming.